It seems like it has been ages since I have finished anything for my British army, one whole week in fact! My productivity circled the drain this week and I am not entirely sure why. I had a few days teaching (3) so that probably cuts down my painting time combined with hockey, but I just haven't felt like it lately; and really did have to force myself to finish this unit off! Here is my first Highland regiment, in it's full scottish glory! Click the picture for a larger view as always. Now, I said that they were going to represent the 71st Highland Regiment, but I have instead changed them to being the 73rd (Perthshire) Regiment. This regiment was where the Duke got his first start (the Duke himself being an Irishman...) before Wellington headed into the 33rd (known as Wellington's Own). The regiment was prevented from wearing the kilt in 1809, the reason being (or one of?) that having no kilts would encourage more Englishmen to join the regiment. 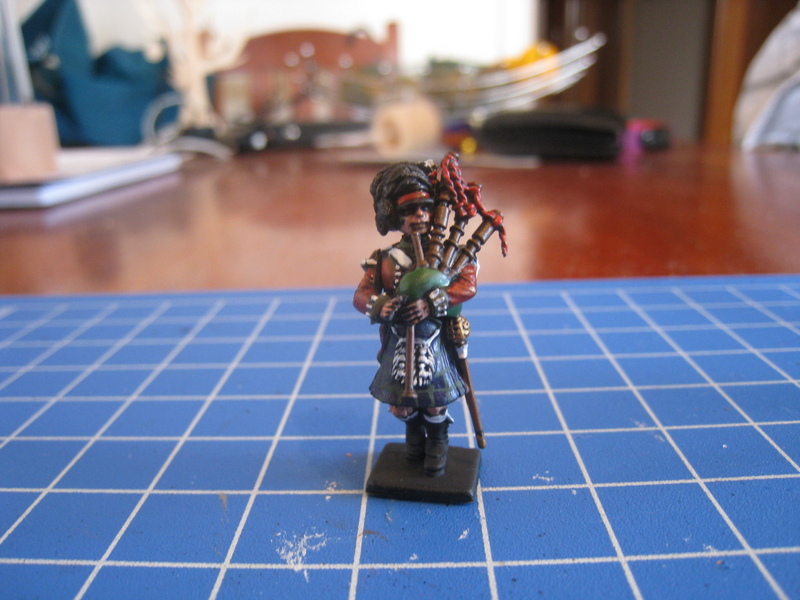 I kept the piper in a kilt, because he is cool, and the officer has the very classy tartan trousers! Those tartan pants really didn't last long on campaign, so hence only the officer has them! The 2nd Battalion of the 73rd arrived at the battle of Quatre Bras 1815 at a crucial moment in the fight, in which they lost 53 men killed and wounded. Two days later at Waterloo whilst serving with Major General Halkett’s Brigade of Lieutenant General Sir Charles Alten’s 3rd Division, the Battalion was charged no less than 11 times by French Cavalry as it stood solidly in square and was then fired upon by French artillery. Painting them was alright, I just find that the Victrix don't inspire me as much as the Perry figures, so definitly my next regiment will be made from Perry. 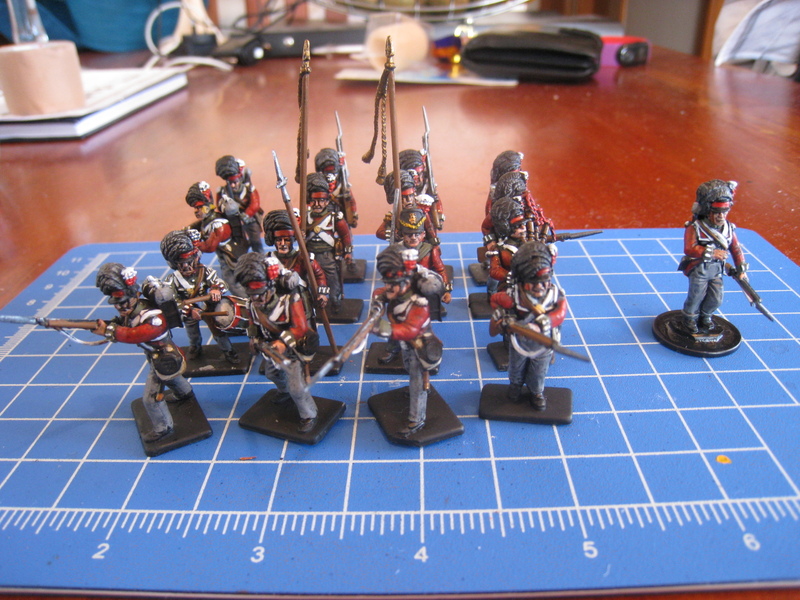 I think my second Guards regiment will be on the painting table next. I had better get to assembling, hopefully will have something to show off in a day or two! All on 1 BW; so 50mm for cavalry too. They might have to be a bit deeper, but at least the frontage should be alright. You up to painting cavalry already? Will you have enough done by Conquest to come up to ChCh for a big(ish) demo game? October maybe? November even? Plenty of time to paint some Frenchies!